Adirondack Vacation Guide: White Stuff at Whiteface! Whiteface made lots of snow this weekend, allowing somebody some very early tracks. 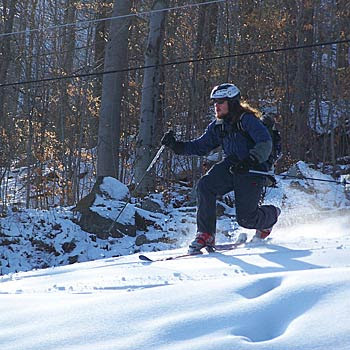 Looks like this approaching snowstorm will bring salvation to early season skiers! Winter in the Adirondacks is an unparalleled vacation experience - come see for yourself!